Most of the protests have taken place peacefully, but there have been clashes between police and activists. On Thursday, during the seventh consecutive day of the rallies, over a hundred Armenians were detained. A day later, around 60 people were arrested and taken to police stations. Earlier this week, at least 46 people got injured in protests, according to the Ministry of Health. The South Caucasus state of 3 million, landlocked between Turkey, Georgia, Azerbaijan and Iran, seceded from the Soviet Union when the bloc crumbled in 1991, but it remains dependent on “big brother” Russia for aid, investment and protection. The country is isolated, as two of its borders are closed: the one in the east with Turkey and the western one with Azerbaijan. Armenia suffers from the legacy of a centrally planned economy, with about a third of the nation living below the poverty line. Many Armenians are growing tired of the country’s politicians and their decision-making. They accuse Sargsyan and his government of corruption and economic mismanagement and want him to resign. Alongside them is Nikol Pashinyan, a prominent opposition member of parliament and leader of the rallies. “Sargsyan lacks legitimacy and has earned the hatred of Armenians,” he said to the protesting crowd on the day Sargsyan became the prime minister. Pashinyan called on people to engage in acts of civil disobedience, including the blocking of roads, intersections, and bridges, as well as interrupting public traffic. He declared the start of a Velvet Revolution, a term referring to the 1989 non-violent transition of Czechoslovakia from communism to a Western-like democracy. Street protests are nothing new to Armenia. Since the country became independent in 1991, almost every election was followed by mass demonstrations. 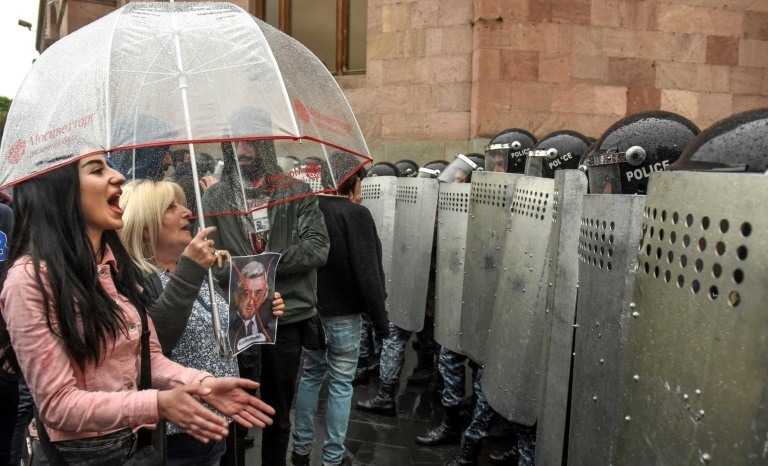 While most of these rallies had not been very successful, there are several factors that increase the current protest’s chances to be more effective, Armenian political analyst Mikayal Zolyan told The Globe Post. “They take place in a digital age, with social networks and other digital tools helping the protesters while complicating things for the government. The protesters are also using more sophisticated strategies than the previous movements,” he said. Zolyan describes these strategies as “nonviolent but aggressive,” as they include sealing off streets, roads and government buildings across Yerevan and having small but unexpected rallies in various parts of Armenia and the capital. “All this happens while strongly condemning violence,” he said. When Sargsyan left the presidential office at the beginning of this month, it was the last step in Armenia’s conversion from a semi-presidential system into a parliamentary one. Executive power now lays in the hands of the prime minister instead of the president, which makes the role of the latter largely ceremonial. According to Zolyan, the appointment of Sargsyan as prime minister means that “Armenia is joining the club of authoritarian countries, where the rulers are able to extend their rule indefinitely by changing the constitution.” He said that many Armenians fear that the new system allows Sargsyan to rule Armenia as an autocrat since it gives almost unlimited powers to the prime minister. Gevorg Melikyan, an associate fellow at the Yerevan-based Armenian Institute of International and Security Affairs, agrees. According to him, the Armenian parliamentary system “creates room for an even more authoritarian regime without real checks and balances and weak democratic institutions.” He told The Globe Post that Sargsyan would have more power with this new framework, but less accountability. He continued by saying that if Armenia would adopt a parliamentary system, he would “not display any claim on the position of prime minister either.” But now, four years later, those words prove to be of little value. Sargsyan ascended to the presidential seat in 2008, after winning the elections for this position with the backing of the Republic Party of Armenia. He got re-elected in 2013. He left this office two weeks ago after serving two terms, the maximum the constitution allowed. However, the Sargsyan-ruled government initiated a referendum in 2015 that would amend the constitution and make the country a parliamentary republic. The referendum, nicknamed “Sargsyan’s project,” was largely perceived as a vehicle for Sargsyan to stay in power after his second presidential term. Around 63 percent of the electorate voted in favor of the reforms. Turnout, however, was low – just over 50 percent. Rather than being a turn toward a more democratic state, critics have argued that the transition to a parliamentary system was planned by the political elite to preserve power. Yevgenya Jenny Paturyan, Assistant Professor at the American University of Armenia in Yerevan, said she was afraid that the past few days confirmed this presumption. 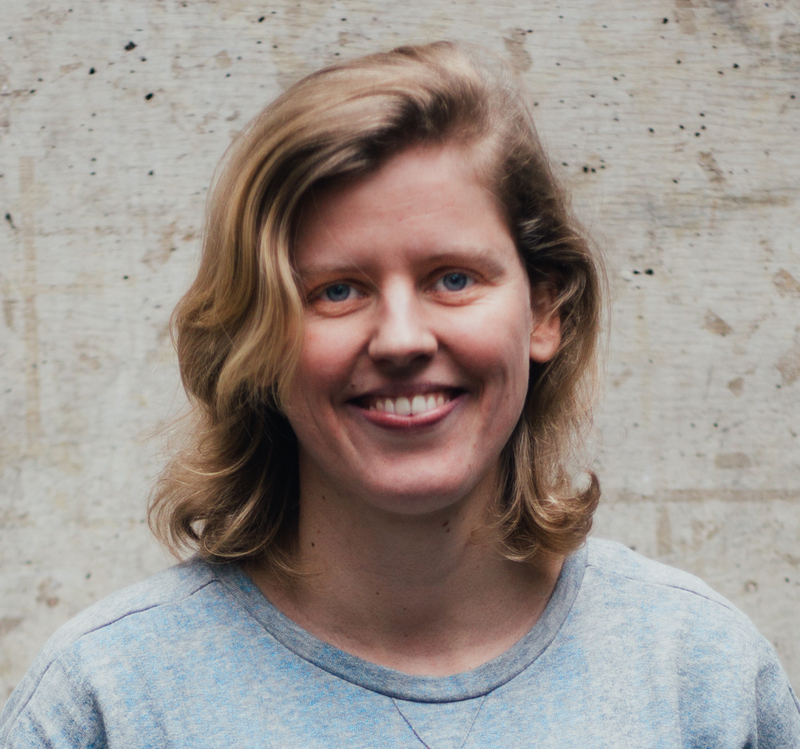 “In the short run, the transition is clearly a tool to hold on to power by those in power,” she told The Globe Post. However, she still hoped that the parliamentary system would eventually strengthen the political parties and make Armenian politics more inclusive and less focused on individuals. The 2018 Nations in Transit report by Freedom House states that “while Armenia’s constitution and laws ostensibly enshrine the principles of democracy, autocratic practices pervade governance in practice” and that the electoral process is “neither free nor fair.” In other words: the country has adopted a Western system, but has no practical experience with principles like tolerance, honest elections and freedom of the press. The referendum was the starting point of a two-and-a-half-year process that helped the country to transition from a semi-presidential to a parliamentary system. In April, that process theoretically came to an end, but the Armenians so far refuse to accept the results. They continue to call for Sargsyan’s resignation as the protests have reached their eighth day. Melikyan noted that it was difficult to predict how the demonstrations would end. “The situation changes hour by hour and even the organizers don’t necessarily know what their next steps are,” he said. Next Tuesday, on Armenian Genocide Remembrance Day, thousands of Armenians living in and outside the country, delegations, foreign officials and other interested people will walk to the Tsitsernakaberd Genocide Memorial in Yerevan to commemorate the victims of the 1915 massacre. How is Mexico Fighting Fake News Ahead of General Elections?